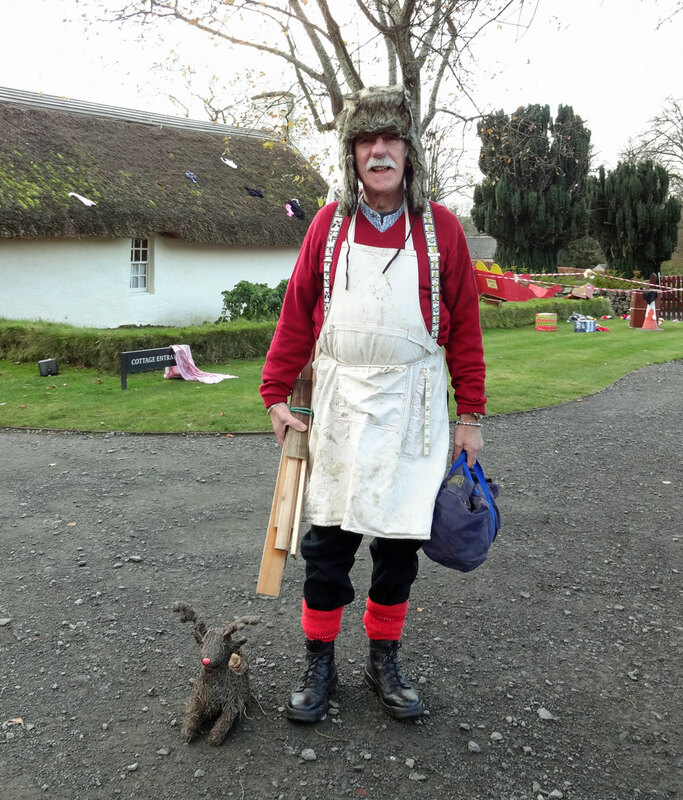 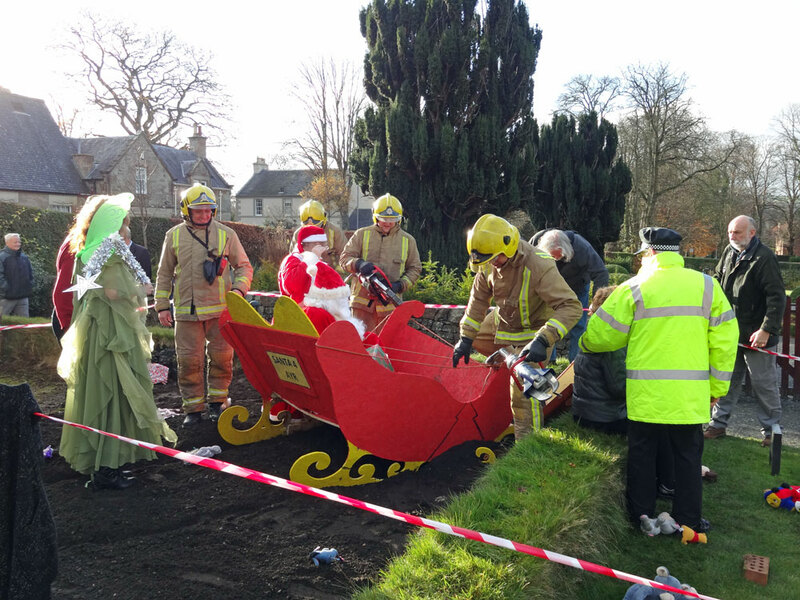 Santa has crashed his sleigh right next to Burns Cottage! 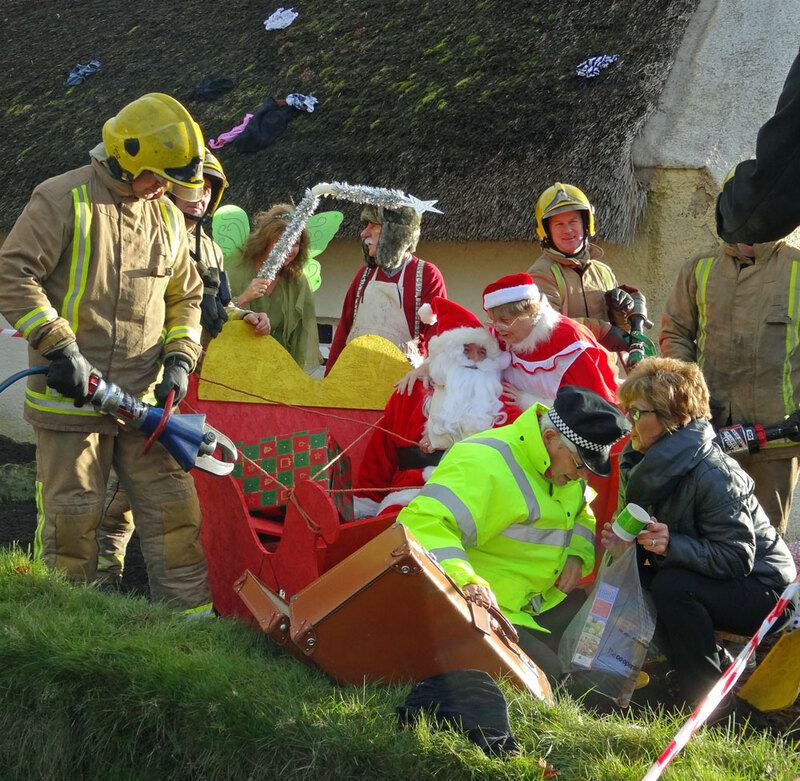 Toys lie everywhere and our local firemen had to rush to the scene to rescue Santa from the wreckage. 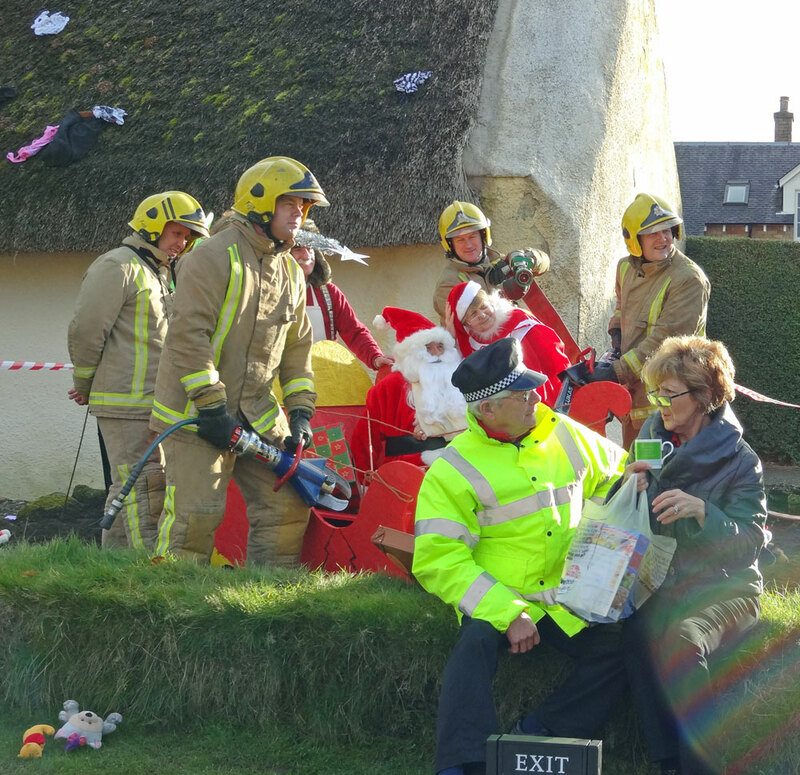 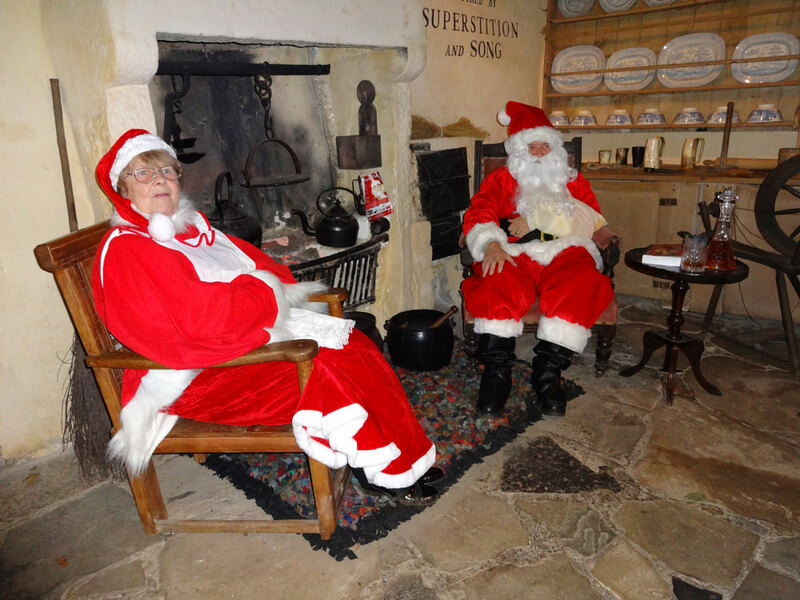 Fortunately, Santa and his team were all well and were able to move into the cottage and make themselves comfortable. 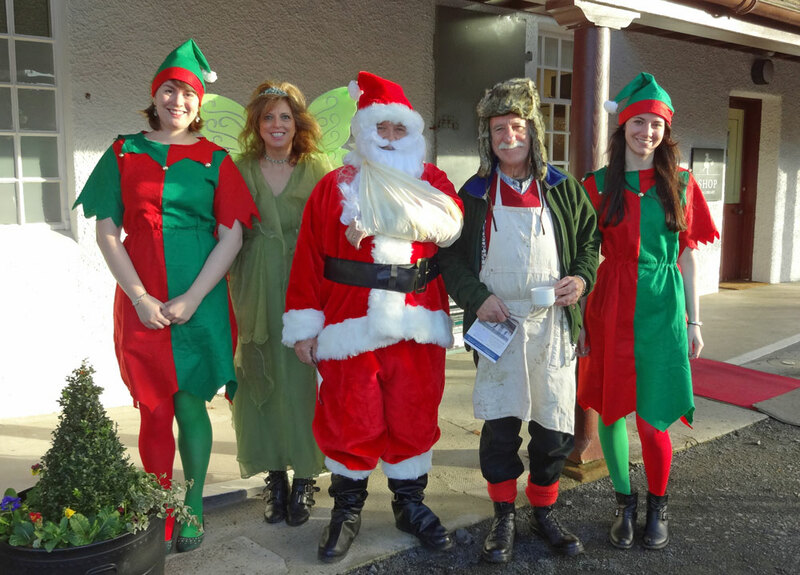 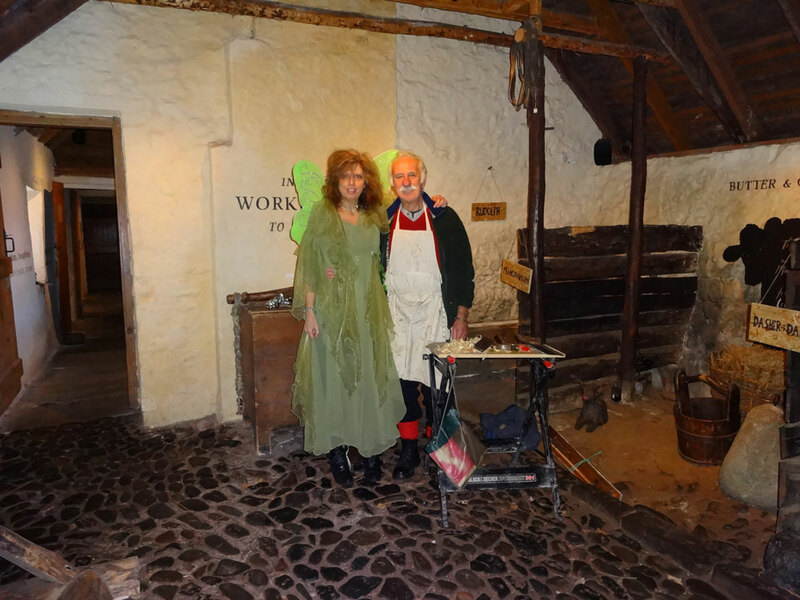 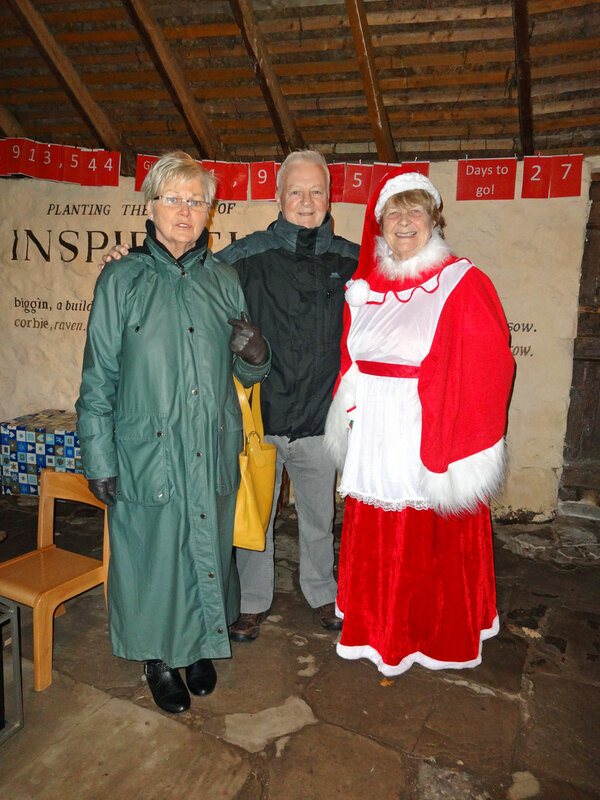 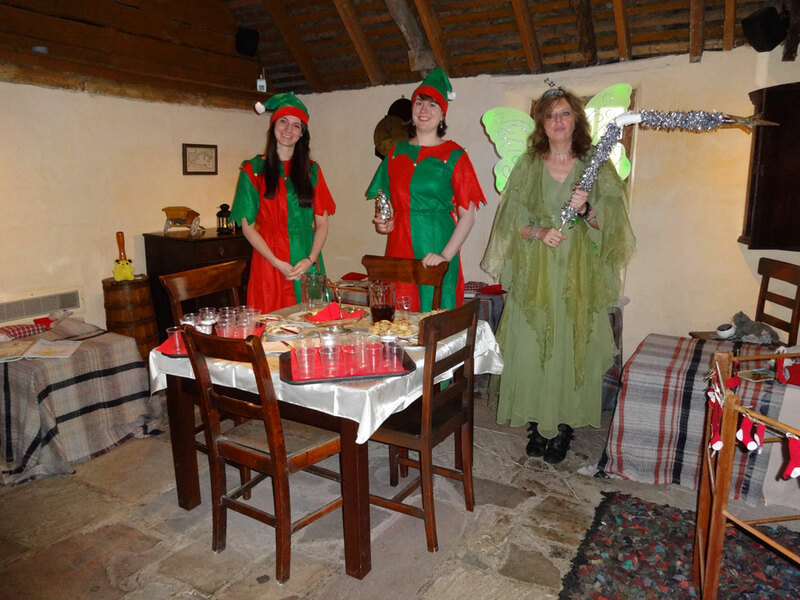 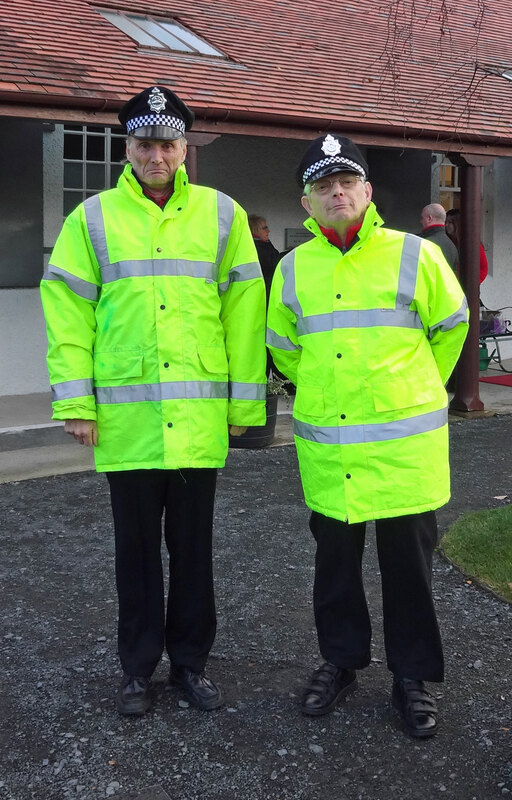 They were able to welcome over a thousand happy visitors on the run up to Christmas. 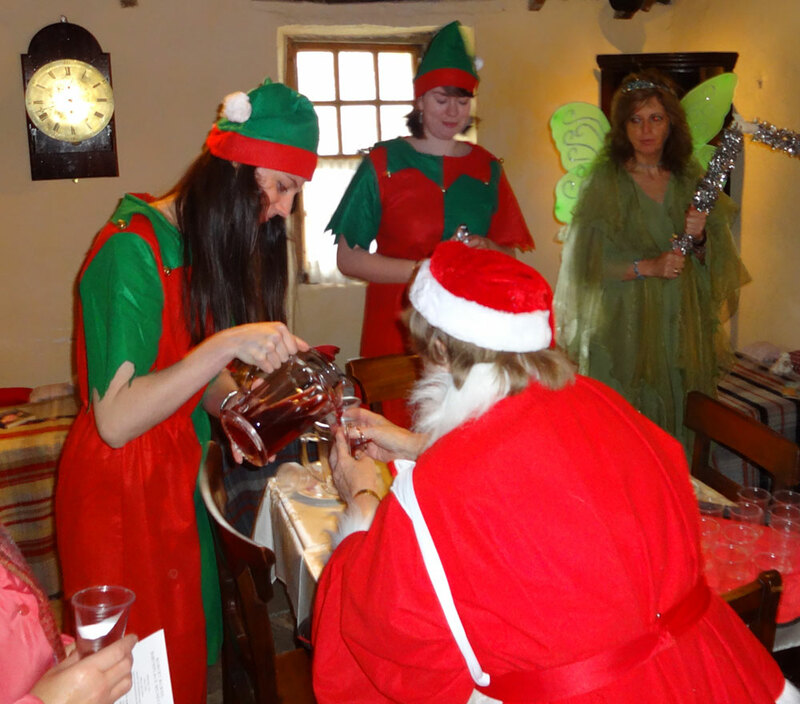 A wee tipple to settle Santa’s nerves. 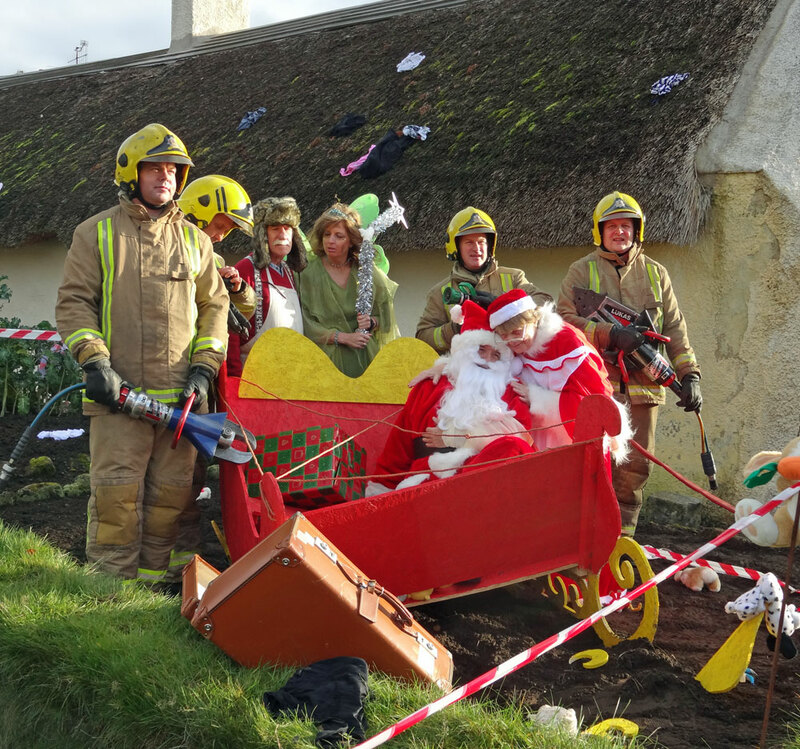 Firemen rushing to help Santa after the crash! 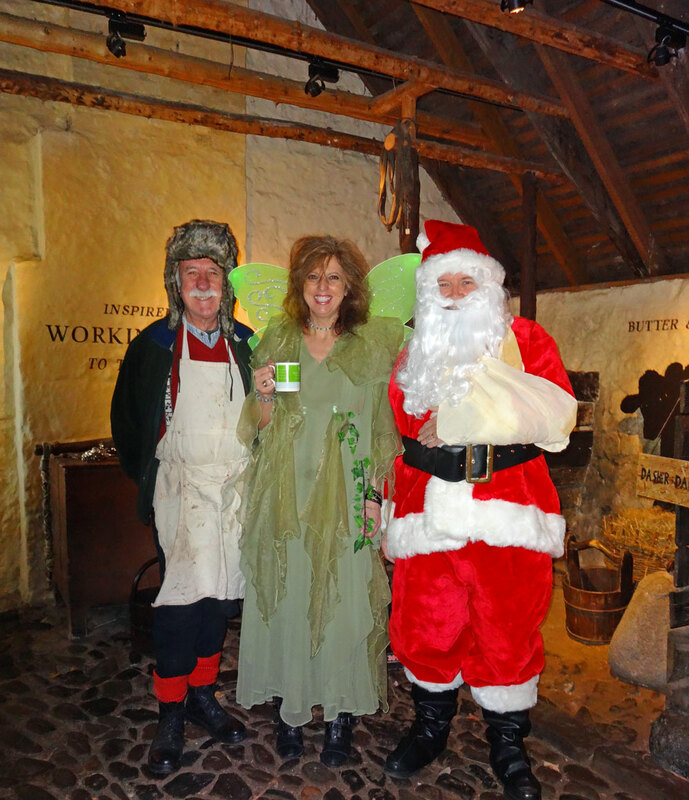 This was a truly spectacular evening with lighting, fire and flames, entertainers and lovely calm evening!